I've had the wonderful opportunity to review lots of cloth diapers. I've tried new brands, experimented with work at home moms and come to learn of some wonderful companies. My next diaper that I got to try was from Teeny Textiles. She has some wonderfully cute diapers and I was excited to get to try one! We received the Organic Bamboo Colorful Fox Fitted and I couldn't be happier with it. Since I received my package just before Christmas she also included one of her ornaments as well. Super soft organic bamboo velour. It also has organic bamboo fleece inside the soakers. Comes with 2 snap in soakers. The one on the right snaps to the one on the left and then it snaps to the back of the diaper. Overall I really like this diaper. First of all I LOVE the print. It's unique, I've never seen it before and when I first saw it I loved it. It's very colorful and is just adorable. The organic bamboo velour is super super soft. I have a few diapers with this material in it and I just love it. It makes poop easy to plop off, it slides right off it. It washes really clean and is SUPER hard to stain. I have a VERY small stain on my soaker from this diaper because Emerson ate blueberries. And it's faded with washing, so I'm sure it will be gone soon. I have washed this diaper probably at least 10 times now and the fabric isn't faded at all which I really like! This diaper is really absorbent. Putting the organic bamboo fleece inside gives it that really absorbent nature. This diaper fits Emerson really well, it's very trim under clothes as well. I put on just a PUL cover over it and it is super trim. She also carries diapers that are ALL organic including the outer fabric. And she has seconds in her shop as well that have a slight flaw, but you can get for cheaper! Overall: ***** love this diaper to pieces! I love the penguin diaper! I love the Fox in the Henhouse fitted diaper! Love the ferns bamboo print! I love the one size fits all penguin diaper!! Too cute!!! The 100% Organic One Size Fitted diaper in "Neighborhood Fun" is my favorite! So cute! I too like the fox print. I also really like Circles of Brown and Blue. Great Review! I LOVE the Ferns fitted! I like the Organic Bamboo One Size Fitted Cloth Diaper - Mod Style. I love the organic bamboo OS circles of brown and blue fitted! i like the pirates diaper. I have one of her diapers and I LOVE it! I really like the Fields of Corn diaper! I love Fox in the Henhouse and Fields of Corn! I like the 100% Organic One Size Fitted Cloth Diaper - So Sweet Mushroom and the Circles of Brown and Blue. Organic Bamboo One Size Fitted Cloth Diaper - Neighborhood Fun is nice. I like Organic Bamboo One Size Fitted Cloth Diaper with the penguins. I love the fox in the hen house print and the colorful foxes, so cute!! I like the 100% Organic One Size Fitted Cloth Diaper - So Sweet Mushroom. I love the So Sweet Mushroom! I like the Organic Bamboo One Size Fitted Cloth Diaper - Fields of Brown. I just love the Organic Bamboo One Size Fitted Cloth Diaper - Flowers in Red. So cute! I love the Organic Bamboo One Size Fitted Cloth Diaper - Giraffes in Trees. 100% Organic One Size Fitted Cloth Diaper - Raindrops in Teal, although a hard choice because so many are so cute! i like the ornaments http://www.etsy.com/listing/114589809/cloth-diaper-ornament-gift-card-holder? Love the twirly bird diaper!! I love the Organic Bamboo One Size Fitted Cloth Diaper - Orange Circles! So cute! I like the Colorful Fox! I like Fields of Olive Green! I love the organge circles fitted! i like the sheeps on green diaper. super cute. Ack, that OS penguin diaper is ridiculously cute! I had a REALLY hard time choosing a favorite print they are all sooo cute! But I think Pirates is my favorite! I love the Organic Bamboo Camping diaper! What adorable prints! i don't think there was a diaper on there that i didn't like!! love the city scapes though! I love the camping one!! love the red stars diaper! love the colorful fox print! I like the Fields of Brown print. There's also an upcycled diaper that would be interesting to try. I like the fields of olive green. I really like the Organic Bamboo One Size Fitted Cloth Diaper - Camping from her shop! I like the fox in the hen house diaper. I simply adore the Camping diaper!! 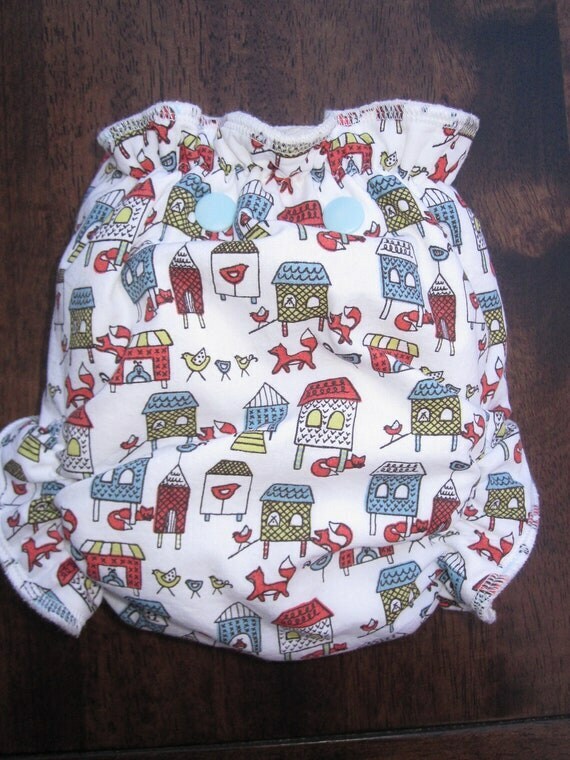 I love the City Scape print Bamboo diaper! I love the penguins diaper. Giraffes in Trees, but it was a really hard decision! All the prints are very pretty! The So Sweet Mushrooms fitted. I love the Red Stars diaper, but the Sheeps on Green is a close second. Thanks for the giveaway! I love the Pirates fitted diaper. I love the City Scape diaper!! It matches my tattoo!!! I like the different designs they have available. The bamboo one is really adorable. I love the cityscape print! Love the penguin pattern and mod style! i love the so sweet mushroom diaper!! too cute- & i love that it's all organic! thanks so much for the great giveaway!! So many are adorable! but I would have to say my favorite is the cityscape print. The sheep, the penguin, the cityscape print...so hard to choose. I guess if I must; the sheep. I love the organic one sized fitted cloth diaper - giraffes in trees. My favorite is the Organic one size diaper - Fields of Corn! I like this Twirly Birds print. I like the colorful fox print. I love the organic one sized called "So Sweet Mushroom"! I love the bamboo penguin diaper! I really love the city scape diaper@!!! Twirly bird is so cute! I LOVE the penguin print diaper! I like the organic bamboo fitted diaper. I love the So Sweet Mushroom print. How adorable! I like the Twirly Birds best. I like the fox diaper... Too cute! I like the bamboo print camping! Giraffe in trees diaper is great! I like the ferns print a lot! I love the ferns print and the camping one. Such cute diapers! I love the Camping Print. Ah! these are amazing! Some of the cutest prints I have seen! I like the organic bamboo os fitted Camping pattern. Mini Snowmen Holiday Diaper is my fav!! I LOVE the camping print! Organic Bamboo One Size Fitted Cloth Diaper - Red Stars. I love the organic fitted with the mushroom print. New to cloth diapering and pregnant with #5!